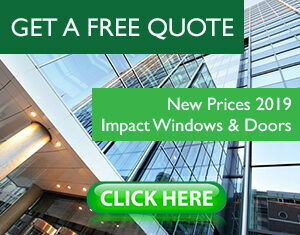 New Impact Windows and Doors in Miami & South Fl. Get yours in 2019! Depending on your project’s needs we would be able to assist you in selecting the best option that best matches your convenience. When it comes to installing impact-resistant windows and doors, we work with the most advanced engineered systems to ensure superior quality and the best product function with the highest ratings of energy efficiency, noise reduction and protection. We work with only the most reputable and qualified manufacturers in the industry. Our product selection is tested to meet the highest design load standards for air and water infiltration, including the highest standards imposed by Miami-Dade, AAMA, ASTM and the Florida Building Code. We have developed strong partnerships with our impact resistant windows and doors suppliers and within our local community.